The fourth annual iHeartRadio Music Festival took place this past weekend at the MGM Grand Garden Arena in fabulous Las Vegas. Thousands of fans packed the arena for the two-day musical extravaganza to see the stellar performances of their favorite musical icons. This festival is unlike any other music festival because it is more Vegas style. Not only do they have the nightly shows, they also have day performances in the iHeartRadio Music Festival Village so attendees can party non-stop throughout the day and on into the night. This day in age, we are living in a period known as the postmodern period. The Postmodernism Theory focuses on the belief that our realities are what we make them to be. Our reality is constructed by our individual selves or social groups and are subject to change integral to time and place. In relation to IMC, Postmodernism illustrates that consumers are buying into a certain lifestyle rather than an actual product. This theory sheds some light on why consumers are willing to pay such extravagant amounts of money to attend this festival. It’s not so much about the music but more about the Vegas lifestyle that they are able to be a apart of, even if only for a weekend. According to Forbes, it costs a pretty penny to get in on the action. The average secondary market price for Friday’s shows was $766.09 and $651.28 for Saturday’s performances. If this was too steep of a price, you could still view the show from afar with an average get-in price of $182 on Friday and only $100 on Saturday. More than 25,000 people flock to Las Vegas every year for the musical gathering. You may be wondering how all of these people hear about the festival. The answer is simple: radio. According to the Uses and Gratification Theory, users select mediums that give them the most satisfaction. Once the medium is chosen, the user actively integrates it into their lives. In a study appointed by the Radio Advertising Bureau in the U.K., it was discovered that happiness and energy levels were increased by 100 percent when the subjects listened to the radio. The Users and Gratification Theory alongside of the study explains why radio has been so successful. However, iHeartRadio supplies the proof. 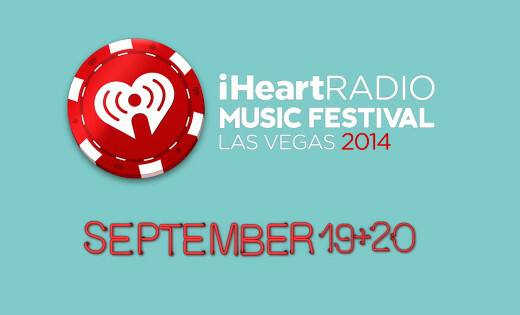 Before the music festival, Clear Channel Communications launched the iHeartRadio music app in April 2008. Since then, the app has been downloaded 97 million times. Aside from the app, iHeartMedia (the new name for the iHeartRadio franchise as of September 16, 2014) owns and operates 840 broadcast radio stations across the country. Between iHeartRadio and the broadcast radio stations, iHeartMedia reaches a whopping 240 million listeners per month and 53 million people via their social media pages making iHeartMedia’s outreach the largest in America. With a reach like this, it really is no wonder that the festival creates so much hype and has record-breaking attendance each year. With proof like this, it makes sense that iHeartMedia has been so successful with their outreach. It is clear that they have used this to their advantage to market the annual festival. With millions of listeners being reached daily, iHeartMedia has been able to promote the music festival with ease. This simple tactic is obviously working as this year’s festival sold out in a mere 10 minutes. This goes to show just how powerful radio can be.